Second day NY, it’s still so nice and summery out here. I took an off day and went to Brooklyn Williamsburg. Do visit this area when you come to New York. On my return from New York I will leave you a more detailed outline of places to visit. 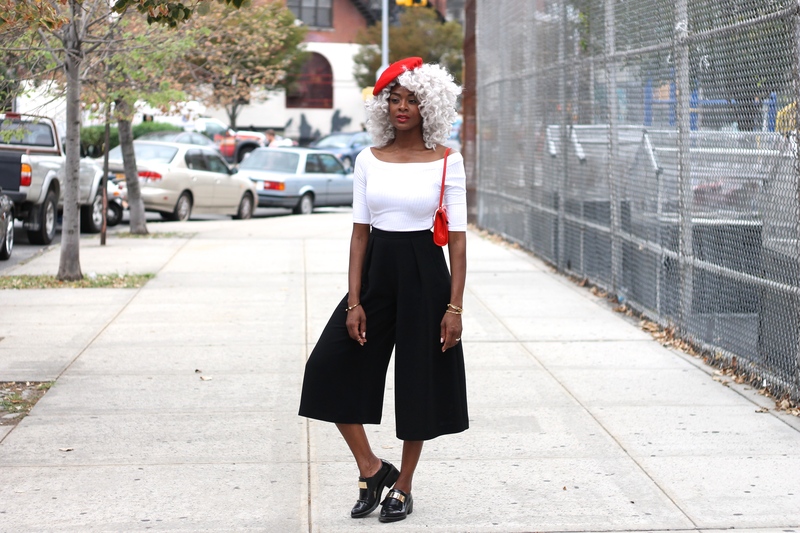 Now about these pants called culottes, long thought as dowdy and unflattering but now many designers favorite style. 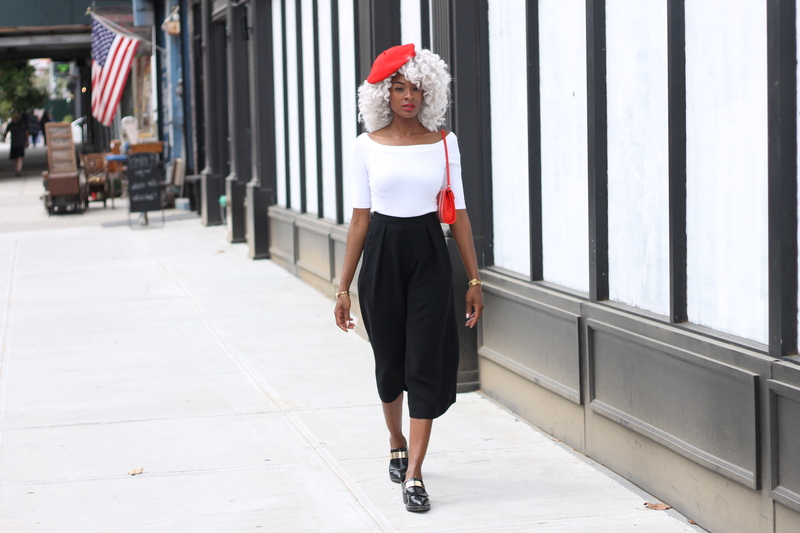 Culottes come in various fabrics and cuts. Silk is a nice option if you like them to flow, but denim is great if you like more definition in your silhouette. Why I like them and I think you should try some? There is something very easy yet luxurious about them. Here I styled them in a classic French way with flats and a tight boatneck shirt. It might seem like tricky pants to style but its all about proportion and finding the right pair that will compliment your body type, step out of your comfortzone and play with shape. It’s the perfect pants to wear all your cropped tops with throughout the fall season and look sophisticated and stylish.